Wow what a busy week we have had! Not only have we been getting on with our usual activities. We have had our Nativity and our end of term Christmas party. 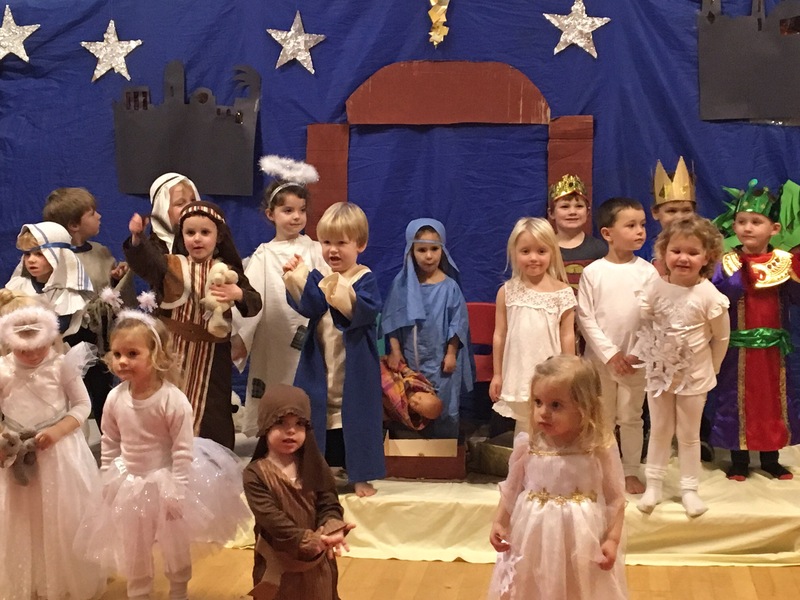 We were so pleased with the children’s fantastic efforts at our nativity. I hope you will all agree they did so well considering the number of parents and family members. We have spent a few minutes for the last few weeks going over the songs and the children have enjoyed learning and singing the songs. Thank you to everyone who helped with teas, coffees, selling raffle tickets, bringing cakes, raffle prizes and of course contributing on the day. We raised £99 from raffle ticket sales, which will go directly back to preschool. The refreshments raised £95 for the East Grinstead Food Bank. All in all an amazing event that has not only helped our preschool but also people in our area who are needing help with food.